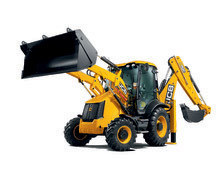 JCB knows a thing or two about designing the perfect backhoe loader. 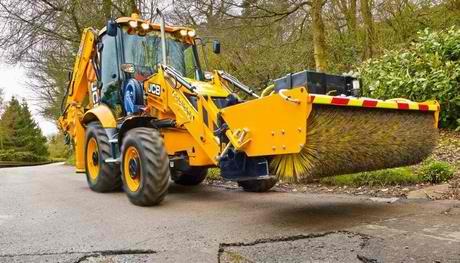 JCB was, after all, the first company who developed the concept back in 1953. And it has stayed first pretty much ever since: today JCB is the world’s number one backhoe loader manufacturer by quite some way (almost half of all backhoe loaders are JCB ones). 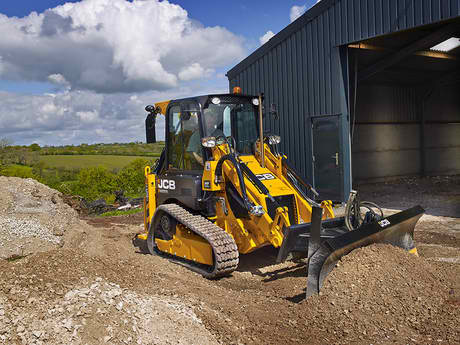 The smallest backhoe loader in the range is the 1CX. At just 1.4 metres wide, with the ability to turn on its own axis due to its Skid Steer design, it can operate in virtually any environment. It’s fitted with a universal quickhitch and full side-shift capability too. The range-topping JCB 3CX Eco and JCB 4CX Eco, meanwhile, are quite simply the world’s most efficient backhoe loaders for typical duty cycles. TorqueLock provides a fuel saving of up to 25% when roading, and the EcoDig, EcoLoad and EcoRoad systems are designed to save you even more. 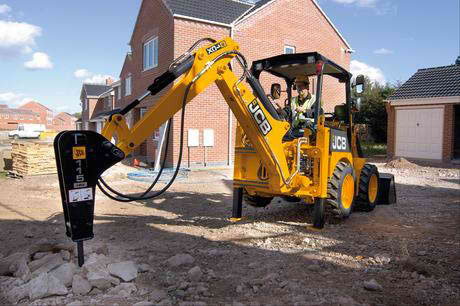 The lightweight JCB 1CX is the smallest backhoe loader in the JCB range. Its narrow, compact footprint makes it incredibly versatile and able to work in even the tightest spots. 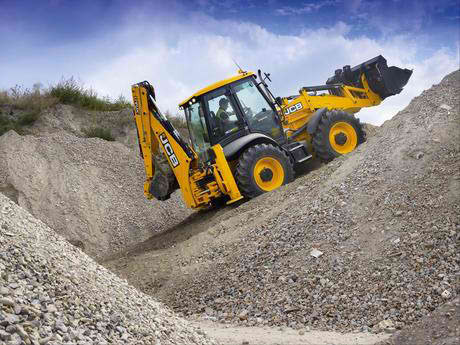 The JCB 1CXT is one of the smallest backhoe loaders in our range. All new tracks for superb stability, tractive effort and soft ground performance. 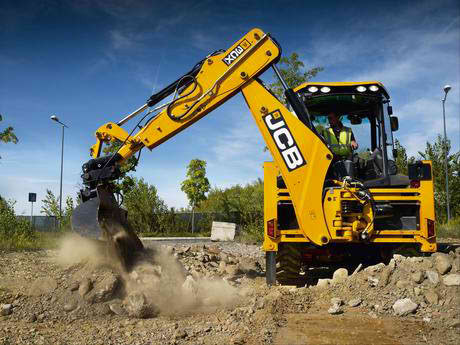 The JCB 3CX Compact – versatility and manoeuvrability by the bucketload. 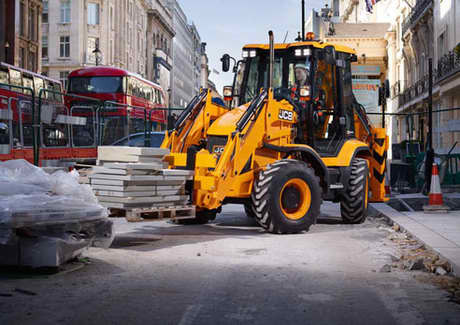 Productivity, durability, comfort and performance are standard on a JCB 3CX. Courtesy of our new award-winning EcoMAX engine, the 3CX is also frugal yet powerful at the same time. The JCB 4CX backhoe is the largest model in our range, boasting 1.0m3 and 1.3m3 option shovel capacity, 3 steer modes and our efficient, powerful 81 kW EcoMAX engine. 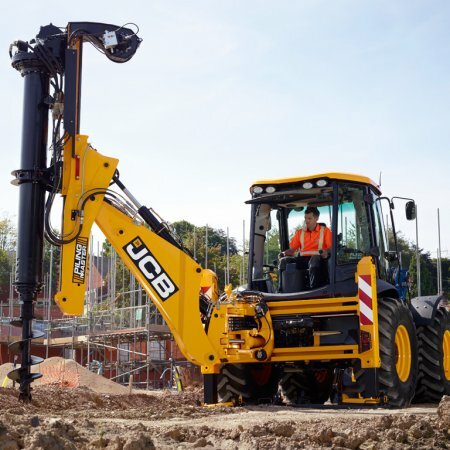 The JCB Pilingmaster is a highly versatile, manoeuvrable and innovative backhoe-based machine and is a true all-rounder that isn’t limited to one use. 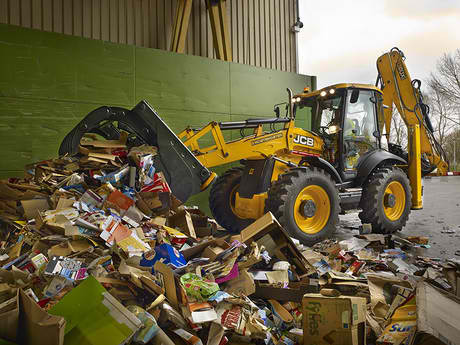 This specialist JCB 5CX Wastemaster is unique as it incorporates additional length rear stabilisers and a choice of front attachments each featuring stabiliser legs. This combination raises the machine into the air providing exceptional views into waste containers.